Premium 230ml double wall vacuum insulated stainless steel cup which will keep coffee hot for approximatly three hours. 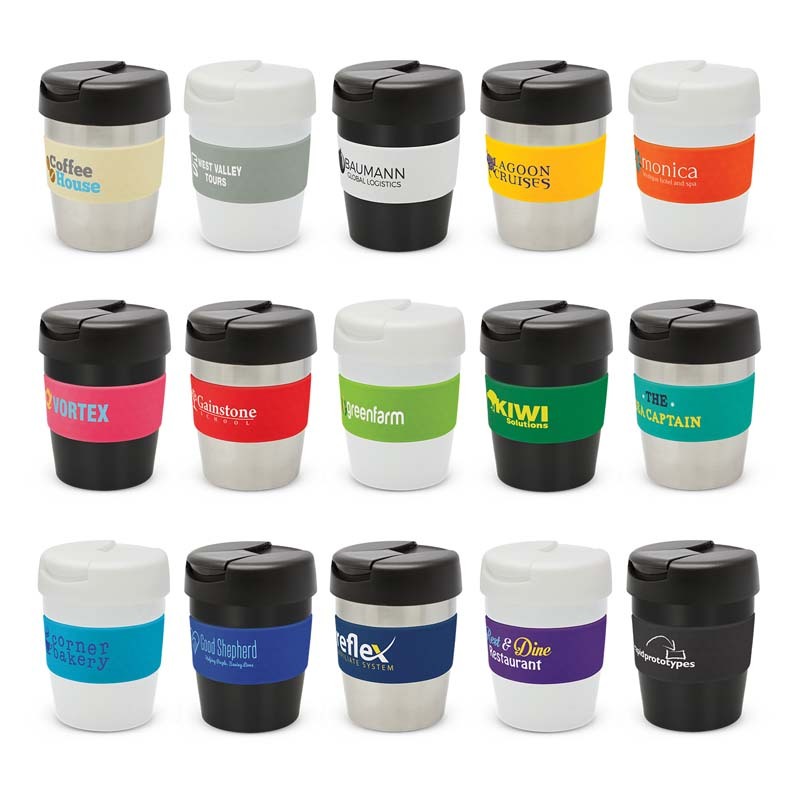 It features a secure screw on lid with a flip closure seal which prevents leaks and spills even if the cup is knocked over. Java has a soft touch silicone band and is presented in a black gift box. Pad Print: Below Band - 40mm x 25mm. Screen Print: Band - 55mm x 20mm (one colour). Band: Grey, White, Yellow, Orange, Pink, Red, Bright Green, Dark Green, Light Blue, Dark Blue, Purple, Black. Sizes Dia 80mm x H 120mm. Based on most economical freight option at discretion of Novel Tees. Some exclusions may apply.